From 2016 onwards, the Euros won't be as fiercely competitive as before. Photo: Nazionale Calcio (via Flickr). So the European Qualifying campaign is now underway and England got off to a perfect start by winning away against the biggest perceived threat in their group. It should go down as a hugely significant result and one which makes England’s prospects of reaching the finals in France better than their opponents Switzerland. However, due to the new qualifying format brought into being by UEFA, the surprising and impressive 2-0 victory will have little to no bearing on how the group shapes up. In previous Euros, only the team which finished top of each qualifying group would automatically qualify for the finals and most of the runners-up would compete against each other in the play-offs. As a result, each tournament would be contested by 16 teams and these would be the strongest 16 European teams, making for a much better tournament which was filled to the brim with quality. Now, with 24 teams competing in the finals, qualifying has been made much easier. Second place also guarantees automatic qualification as well as the third placed team with the best record and the rest of the third placed teams entering the play-offs. For teams like England, even though we’re nowhere near being one of Europe’s best sides, finishing in at least the top three is going to be a walk in the park. Under the previous format, the Switzerland game on Monday night would have been vital in deciding whether England finished ahead of their hosts or not in the final standings (and this was likely to be a battle for top spot and the only automatic qualifying spot in the group). However, due to both of these being virtually guaranteed qualification in the new format, the game (and England’s win) didn’t have that sense of importance at all. Switzerland will still qualify comfortably despite losing to England and had the result have gone the other way, England would still qualify comfortably as well. First and second are the same now. Fortunately this format won’t be in force for the World Cup qualifiers, which allocates far fewer European teams (roughly 13 out of the 32 teams involved are European). The qualifying process for this summer’s tournament in Brazil was nail-biting for England fans right up to the last game against Poland at Wembley as England needed to win to ensure top spot was theirs. This is how it should be. The big guns should face a challenge and they should have to top their group to progress. Euro 2016 could well see many potential upsets avoided by top seeded teams happily settling for a second place finish, which will also see them through. Czech Republic defeated Holland last night in their group opener, Holland still won’t have even the slightest cause for concern though. Neither will Portugal who were stunned by lowly Albania. If they had to finish top, however, they would be worried as they’d be three points off the pace after the first game in a very short campaign (in terms of number of games). By expanding the number of teams in the finals, UEFA believes that the tournament itself will be stronger. Michel Platini says it will “enhance the quality of the competition”, but this is also doubtful. The extra eight teams, if anything, will be teams with less quality. When you consider that the number of teams that do qualify now almost equal the number that don’t, there are likely to be a few teams who aren’t really strong enough to compete with the big guns but are there simply because they were strong enough to see off the minnows. Whilst it’s great that some of Europe’s lower ranked sides (including the “home nations”) have a realistic chance of making it to France in 2016, they have to do very little to earn their place. Wales and Northern Ireland, when you look at their respective groups, could both finish third without breaking a sweat if they were to take maximum points off the likes of Andorra, Faroe Islands, Cyprus, Finland, etc. They could themselves be doubled by the stronger sides in their group (Belgium, Bosnia-Herzegoina, Greece) but still be in a strong position to qualify. In fact, this is just the sort of inconsistent campaign which the likes of Wales and Northern Ireland have had to endure more often than not and previously it wouldn’t have been good enough for them to qualify. However, the exact same performance now could well be enough. It’s like increasing the number of minors a candidate is allowed in a driving test, these teams wouldn’t have needed to improve but because the difficulty has been lowered, they are now good enough to pass. When it was a 16 team tournament, the quality was very good. Unlike the World Cup, the group stages would serve up many heavyweight clashes and the quality of the football has been outstanding. Even the one or two perceived underdogs in each tournament have made an impact, none more so than Greece when they won the whole thing in 2004. The likes of Denmark, Romania and Latvia have also shaken things up when they were drawn into each tournament’s respective “Group Of Death” by taking points off the more fancied sides. However, by adding more of these sides, the group stages will begin to reflect World Cup groups where there is a clear gulf between the top seeds and the lower seeds. That wouldn’t improve the quality of the competition at all. Whilst the World Cup is the biggest and best sporting competition in existence, the Euros have actually provided just as much if not more entertainment. Whilst adding more teams will mean more games, pound for pound there will be more dull games in the tournament than when there were fewer teams (and games). Whilst the idea of adding more teams to the Euros seems like a good idea on paper, it probably won’t work in practice. 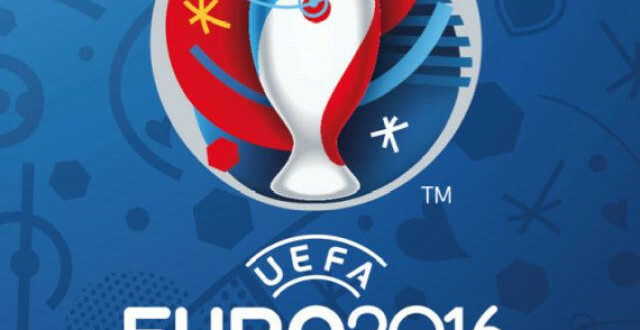 The Euros, much like the heavily criticised Europa League, will become a tournament of quantity rather than quality. Bigger isn’t always better, as Platini may soon find out.